Samsung, one of the last smartphone manufacturers vehemently sticking with the once-ubiquitous 3.5mm headphone jack, looks set to ditch the port from its flagship smartphones, starting with the Note 10 next year. If the latest report is accurate, it means the next-generation Galaxy handsets will require either USB-C earbuds, wireless headphones, or a USB-C to 3.5mm adapater akin to the one bundled with the Pixel 3. The report, courtesy of Korean outlet ETnews, claims Samsung will drop the 3.5mm headphone port from all devices launched after autumn 2019. That means the upcoming Galaxy S10, S10 Plus could be the last flagship smartphones with the port. Provided that Samsung sticks with its typical release schedule, the Galaxy Note 10, which usually launches in August, will likely be the first Samsung-branded handset to launch without a 3.5mm port. Following that, we can also expect a port-free Samsung Galaxy S11 in early 2020. Samsung isn't the only 3.5mm stalwart to succomb to the trend, with OnePlus co-founder Carl Pei recently confirming the firm's next handset, dubbed OnePlus 6T, will also forgo the headphone port in favour of wired USB-C earbuds. OnePlus said the death of the headphone port freed-up crucial space inside the body of its next flagship and allowed it to increase the size of the battery – a trade-off most phone owners are probably willing to make. According to sources within the supply chain, Samsung is likely to make a similar argument for the removal of the headphone port. However, given that the Note 9 already packs a whopping 4000mAh battery cell – whilst maintaing the 3.5mm port – it'll be interesting to see whether Galaxy Note fans think it is worth the trade-off. Samsung will include a free USB-C-to-3.5mm dongle in the box, ETnews reports. However, it's unclear whether Samsung will include wired USB-C headphones with its next-generation handsets, or whether it will push customers to its wireless options. In recent years, Samsung has often highlighted the 3.5mm headphone port as a key differentiator from rival flagship smartphones – openly mocking Apple for its decision to ditch the audio port during its keynotes and television adverts. On a more positive note, having the largest smartphone seller in the world go all-in on USB-C headphones will likely trigger greater competition among third-party manufacturers. This is likely to result in a better choice in USB-C audio accessories. Of course, this is all just a rumour for now. 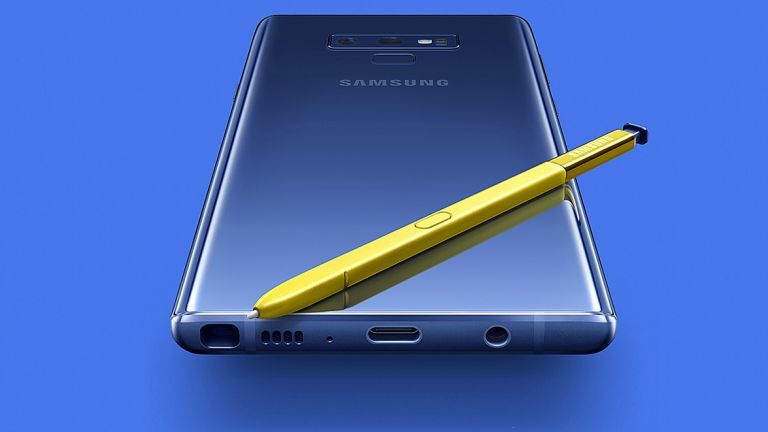 Despite ETnews proving accurate for Samsung leaks in the past, there is still almost a year until the Galaxy Note 10 hits shelves worldwide and plans could change – especially if there is a backlash from loyal fans over the rumoured change.